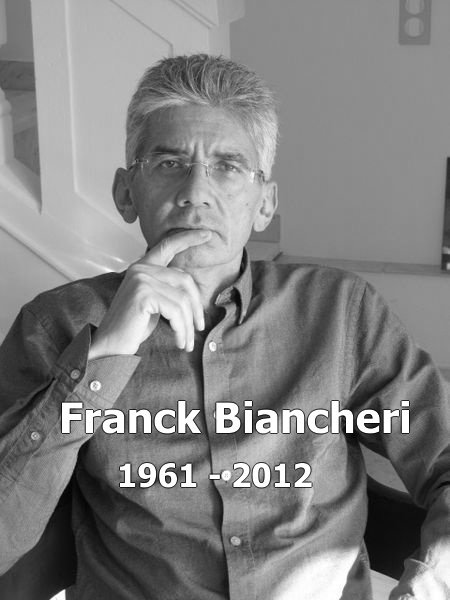 Franck Biancheri considered the Constitution to be voted in 2005, should serve on the one hand as a “plug” to close the past, to finish the construction phase of the EU, to move forward on the governance (Yes to the Constitution …) and also as a support to democratize Europe (… but not without Democracy). 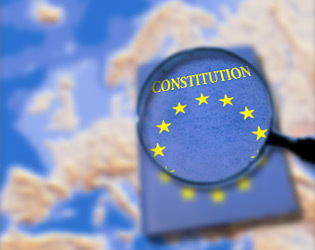 This document has been submitted as a working paper edited by Franck Biancheri, Director of Studies and Strategy – Europe 2020, and delivered to the French Ministers for European affairs, Michel Barnier and Claudie Haigneré, in October 2004, as part of the launch of the referendum campaign on the Constitution. It will be used by Europe2020 as a basis for the french “Yes-But” campaign – the Democratic Marathon of the Constitution, a series of 18 contradictory debates on the European Constitution initiated by Franck Biancheri during 2005, real podiums of discussions between the political partisans of the Yes and those of the No to the Constitution, with the participation of European speakers. 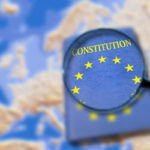 In France, two of the main risks about the adoption of the European Constitution draft are as follows: the “catch-all” diversity of the No camp ‘s argumentation (nationalism, xenophobia, anti-Turkey, society, …); its duality embodied by a No-No reaction (classic anti-European general rejection) and No-If (pro-European rejection of a vision of the future of Europe supposed to be embodied in the Constitution draft). These two elements allow the No camp to adapt easily to a multitude of audiences and particularly to attract the important 18/45 year olds (the generations born “after the Treaty of Rome”, ie the Newropeans) who show totally new attitude towards the European construction process. This particular group lives the European dimension as a natural one for their collective future. This is essentially foreign to the European “pro / anti” collective cleavage which shaped the previous generations’ attitude towards Europe. On the other hand, the citizens belonging to this group have kept hidden the duality of the European construction and now simply have a dual vision of the EU: some of them expect solutions from the European construction to problems now considered as out of reach of the national framework; on the other hand, on other topics, they are worried, even outraged in front of certain developments of the European construction process seen as dangerous for their national or regional identities, or for their economic, social or cultural interests. Therefore this group is particularly hermetic to the arguments developed by the “Yes-Yes” or the “No-No” campaigns. On the other hand, it is naturally seduced by the contrasting visions allowing both attachment to the European idea and criticism towards the community system (institutions, processes, …). This contrasting vision is however absent today from the Yes camp. Moreover, it seems to us that if the Yes camp wants to win, it must necessarily avoid the switchover of the 18/45 year olds towards the abstentionism or the No wave. In this respect, the Europe 2020 experts believe that the Yes has a chance to win in France if some large initiative once launched would position itself very precisely in this logic of contrasted vision, and therefore this target group of 18/45 year olds, by creating a force of Yes-But, will complete the Yes camp. Whilst communicating towards the above mentioned age group in France and Europe for almost 20 years, Europe 2020 and its leaders could identify the key content of the “But camp”: the democratisation of the EU. Based on many analyses led by Europe 2020 on the relationship between the EU and its Europeans (ie the anticipation seminars organised since 1999) and on the concrete experience of major European communication threads towards the citizens since 1985 (AEGEE -EUROPE, Newropeans 2000 Congress, EU-StudentVote, Newropeans Democracy Marathon 2003, …), it is becoming clear today that one of the great frustrations of the 18/45 year olds in Europe is their feeling of helplessness when it comes to decision making within the EU, mostly because they are aware of the fact that those decisions directly affect them. This frustration could already be seen in the European elections of June 2004 along with the pro-European abstentionism (those citizens who do not vote in the European elections even though they are convinced of the importance of the EU but frustrated about the political offer presented during these elections and having no impact on future decisions). The recent debates on Turkey’s EU membership only increase the number of such reactions (which could, in a referendum case, very easily switch from abstention to refusal) in front of Constitution polls. Moreover, one can find within this range of voters the opinion relays actually “shaping” today the European opinion which matters, the so called opinion of proximity. Indeed, it is within this age group that most of the tens of thousands of beneficiaries of European programmes (education, research, environment, media, SMEs, development, co-operation, local authorities, etc.) are recruited; for their entourage, they are truly the resource people when it comes to “getting an idea” on a European issue such as the Constitution draft. To convince those voters to vote Yes, it is therefore essential to be able to demonstrate to them (and not only tell them) that the Constitution is a necessary and useful step towards real EU democratisation. This democratic approach also makes it possible to take the No camp on the wrong foot. The No-if, in particular, having generally been draped in a populist position (under the guise of “social” act), it is easy, by putting democratisation forward, to show that they are only intended to replace a vision by another, theirs, without bothering to further give the European citizens more means to interfere in major decisions. This tactical aspect is important because in the “social” field the Yes camp is condemned to be defensive. On democratisation, with a Yes-But structured as Europe 2020 presents it, can become offensive. 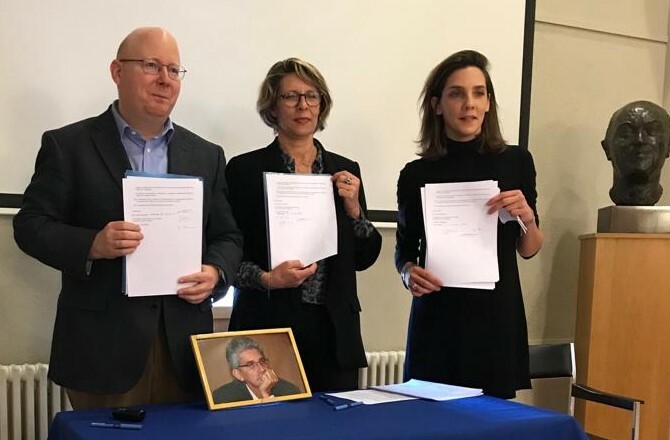 But to do so, the Yes-But must be able to demonstrate that the announced democratisation is not a promise but a current evolution, including the referendum on the Constitution as a first component. 3. “Very rapid action combined with strong adaptability” of the campaign, in order to anticipate the evolution of the debate, and even try structuring it. This coherence will be brought to the operational level through an essential use of the Internet for the entire campaign organisation, but by making the human aspect the most direct one, especially in the micro-debate field, the central component of the Yes-But method. (1) This group has more opinions than questions about Europe. This makes it even more foreign to traditional methods of information or communication used by institutions for decades. (2) The argument on democratisation will be reinforced in particular by the notion of a “strong Europe in the world”. This theme has strongly marked the spirits following the invasion of Iraq by the United States; and it should be broadly declined within a Yes-But campaign especially because of its ability to convince voters tempted by the sovereign vote (generally very anti-American). However, on a part of the target audience, especially the youngest, this argument can be difficult to manipulate. For reasons of general efficiency, it seems useful to retain only one central element in defining the Yes-But camp: democratisation. (3) The “opinion relay” sub-group, direct beneficiaries of Community programmes, will be particularly interested by the 3rd component of the Yes-But, thus strengthening the capacity to become a driving force for the Yes camp. Related event: Constitution or/and Democratisation? Join #CitizensRoute e-Tribune: Wednesday 6th December 2017 – 18.00 !